When we are on vacation, we like to take some time out and do a bit of shopping for a keepsake to remind us of our visit. Rather than go to the gargantuan malls which are pretty much the same everywhere, we like to visit places where the locals shop. And that could be an old fashioned hardware store, an artisan’s gift shop, or even the local farmers market. Interesting items made by the folks that live in the area are what attract us. We have come home with pottery, baskets, hand-made toys, foodstuffs, artwork, and countless other objects. 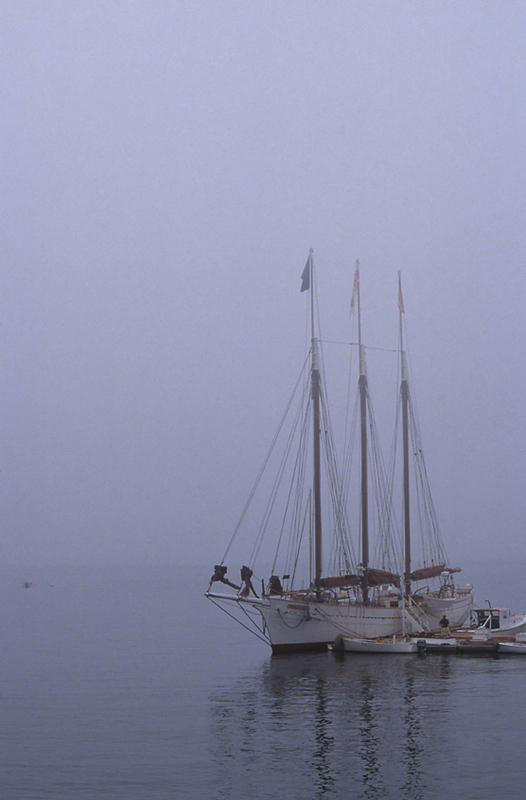 One morning while on vacation in Maine, we were out photographing various harbors way down east. The area is called down east because when you travel up the coast it’s almost due east, even though when viewing a map it appears to be a northerly direction. Fishing communities dot the coast and are around every bend in the road, so finding something appealing to photograph is not difficult. One of our stops was Bucks Harbor Maine. It is a small fishing and lobstering village with a fish processing plant a few yards from the main dock. The aroma was distinctive. It wasn’t bad, let’s just say it was memorable. We got some shots of the boats in the harbor, old relics pulled up on shore that had seen their days out at sea, the iconic seagull standing on an old piling, and even the local dog who greeted us on one of the docks. Leaving town in the opposite direction from which we arrived, we came across the shopping district of Bucks Harbor. 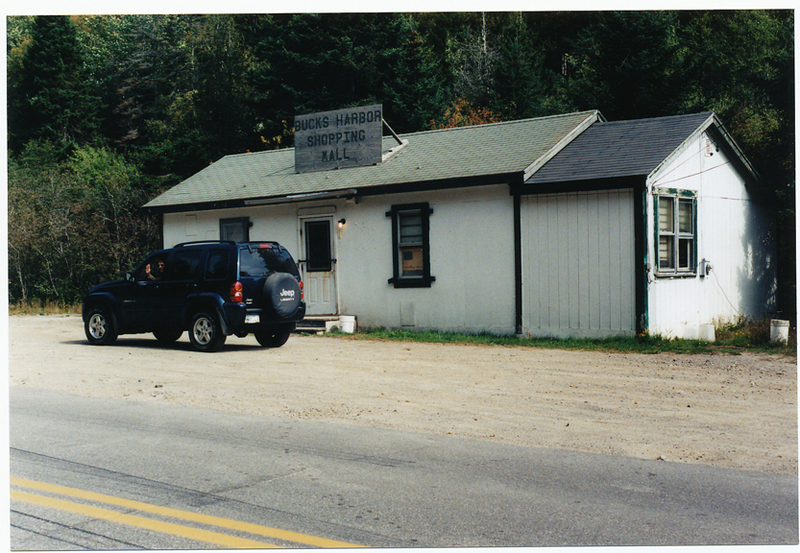 Unfortunately, the place wouldn’t be open for business for another few hours and we had other harbors to visit. We often wonder what shopping opportunities we missed there. A number of years ago I was invited to take a trip down the Intercoastal Waterway (ICW), located on the eastern coast of the United States. The Intercoastal is comprised of waterways including rivers, bays and sounds that are inter-connected with locks and canals, and in some locations the open ocean. My wife’s brother had been a sailor for years and he always wanted to make this voyage. Since he was moving to the Gulf Coast of Florida, this was the perfect time to cast off the dock lines and shove off. And I got to be first mate, cook, assistant navigator, and deck hand. We met many interesting people along the way who were all heading south for various reasons. A number of folks were sailing the ICW and retiring to points south, and others were making the trip just because they could. Some individuals were in sailboats or small powerboats and others were in mega-sized yachts. Our boat was 33 feet long which was adequate for the trip. Although, we felt rather puny compared to the military vessels, freighters, and cruise ships we passed by. We ate and slept onboard, except for one night when we found a marina that served family style meals. We met up with a lot of the boaters we had been seeing along the way, and hung out together for hours telling stories about experiences and sights of our adventure. The journey started in the Chesapeake Bay in Maryland, and 11 days and close to 1200 nautical miles later, we pulled up to the dock in Florida. This is an ocean going tugboat I photographed in the middle of the Chesapeake Bay, which is really like a small ocean. I was especially drawn to the the colorful paint on the boat with the background of blue sky and water. During our last trip to Idaho and Montana, we spent some time exploring the Selway-Bitterroot Wilderness Area. While photographing the region was our primary focus, we did manage to sneak in some hiking and fly fishing. One of our side trips was a visit to Selway Falls, which is southwest of the Lolo pass. From the trailhead, it was a relatively easy hike to several good vantage points to view the falls. It was rocky, but downhill the whole way. After getting some shots of the falls, we decided to take a short break before we headed back up the trail. As beautiful as the falls were, I was actually more fascinated by what we discovered as we relaxed under the shade of the evergreen trees. 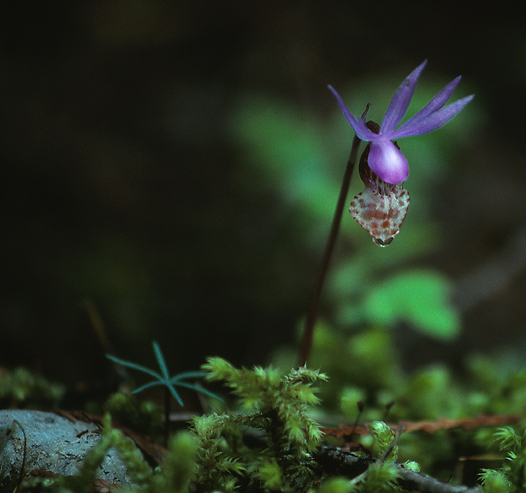 Behind the old log we were sitting on were several dozen Fairy Slipper orchids (Calypso bulbosa). These orchids are not rare, but they can be hard to find. They thrive in the moist environments of evergreen forests. We were amazed to see such tiny delicate flowers among the towering fir trees. After photographing the orchids, we decided it was time to head back to the car. Hiking to the falls was the easy part. Making it back to the trailhead was all together different. The trailhead was only 3/4th’s of a mile away…except it was severe uphill trek and the day had become blistering hot. I don’t know how long our steep schlep back to the car lasted, but it seemed like three lifetimes. I shot this with my 50mm 1.8 lens, used a tripod and cable release. Underexposing about 1/3rd of a stop helped to make the color richer. I was revisiting my film archives, as I do from time to time, to select images to scan and capture as electronic files. I came across this image, and while I recall taking the shot and the situation surrounding the event, it sparked my imagination. I envisioned this gentleman had just mounted his hunter on an early fall day, and was headed to greet his guests for the fox hunt. They would all gather in the great hall for a traditional hunt breakfast and then head out for a ride to the hounds. The group of mounted riders and packs of fox hounds would traverse the estate through the woods and fields. Eventually making their way back to the manor, they would celebrate with champagne cordials. In reality, this is one of the officials at the Radnor Hunt Races which take place in Malvern Pennsylvania. It’s a annual multi-race steeplechase event. The course covers several miles of countryside with jumps, puddles, hedges, fences, and other obstacles for horse and rider to navigate. 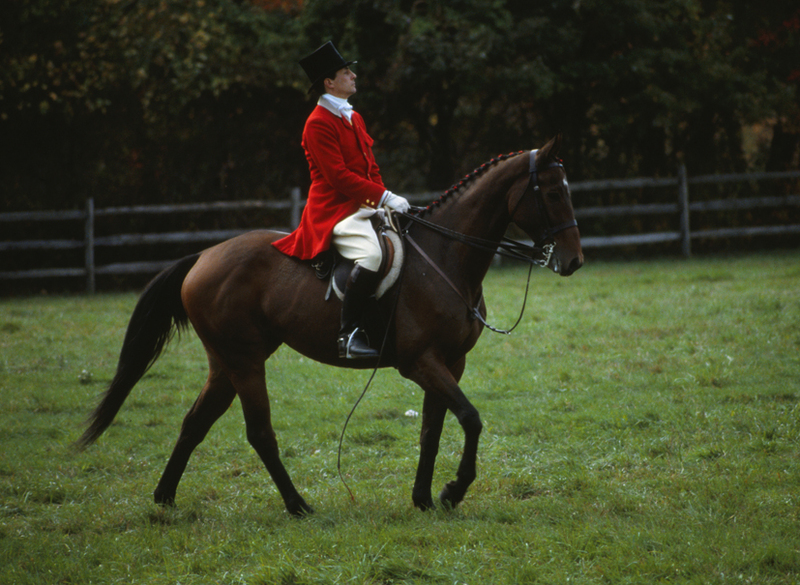 And all proceeds from the Radnor Hunt Races benefit the land and water preservation programs of the Brandywine Conservancy in Chadds Ford, Pennsylvania. Early one morning while vacationing on the coast of Maine, my wife and I went down to the docks to see the boats and ships off for their daily sail. The fog was thick, but for the folks there, it was nothing unusual. There were lobstermen, fishermen, and deckhands bustling about, getting ready for a day out at sea. We hung around the docks chatting with the fishermen, but kept our conversations short since everyone wanted to leave port before the tide went out. The fishermen gave us inside information on where the locals shopped for fresh seafood. And later in the day we did visit several of those secret places. This is an older photo I shot on slide film before the digital age. Due to the low light levels, the telephoto lens I was using, and the floating dock I was standing on, the use of a tripod was necessary. Any bit of motion would have been magnified. Luckily the seas were calm. I was able to hand-hold shots when I was using shorter, brighter lenses, which is much easier when on a busy dock. The ship in the photo is a historic three masted wooden schooner built in 1941. She spent over 40 years fishing offshore, most notably the Grand Banks and George’s Banks in the Atlantic. After her fishing career, she was converted to a passenger vessel for the windjammer trade in Maine. At the time I photographed the ship, she was named the Natalie Todd. She has since sailed to the west coast and been renamed American Pride. Her new home port is in Long Beach California as part of the American Heritage Marine Institute. 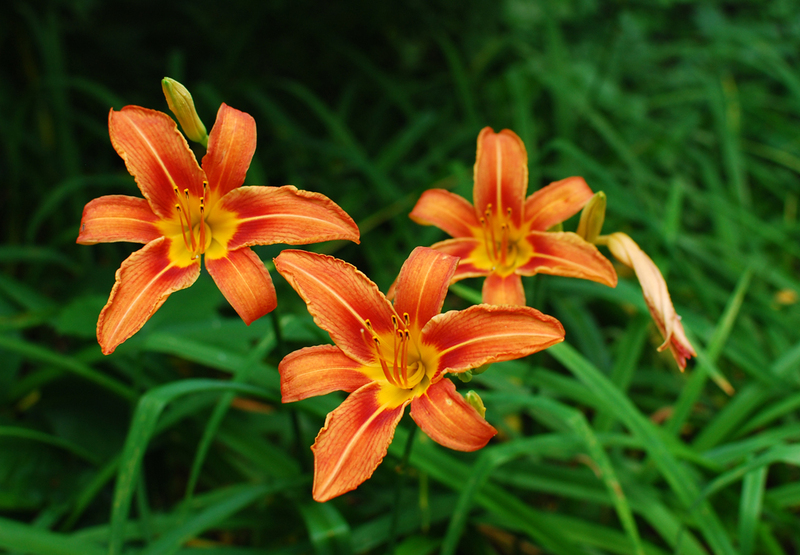 One of my favorite things to see when driving the country roads near where I live, are wild day lilies. They begin to make their appearance in June, shortly after the Dames Rocket are finished blooming. They are a common sight on roadside embankments, in ditches and in other naturalized areas. Typically their biggest blooming period is from late spring throughout the summer, and in lesser amounts, into early autumn. Folks also plant them on hillsides as an erosion control or alongside their driveways to dress up the front of their property. Somehow, one small group will manage to spread far and wide, providing splashes of color lasting several months for everyone to see as they drive by. I photographed these lilies with my 35mm 1.8 prime lens using an ISO of 200, at 1/250th of a second, aperture set at f3.5 with a sunny white balance setting. IN THE FIELD: Do You See What I See? For centuries man has looked up at the night sky and has associated mythical creatures, animals and objects we are familiar with, to the patterns of the stars. There are a few constellations where I can see the resemblance to what they were named for. Others, well…the folks that named them must have been exposed to large amounts of fermented food or drink, because I don’t see anything close to what they imagined. I have often wondered why we can look at something we are accustomed to, and at times, see something completely different. Ever hear someone say something along these lines…“hey look at that cloud…doesn’t it look like a rabbit pulling an ox cart?” Or how about, “wow, will ya look at that…the edge of that cliff looks like an old man carrying a canoe on his back while walking a penguin.” Or in extreme cases, some folks see, and pay big money for an image of someone famous on a piece of burnt toast. Hello, clue phone??? 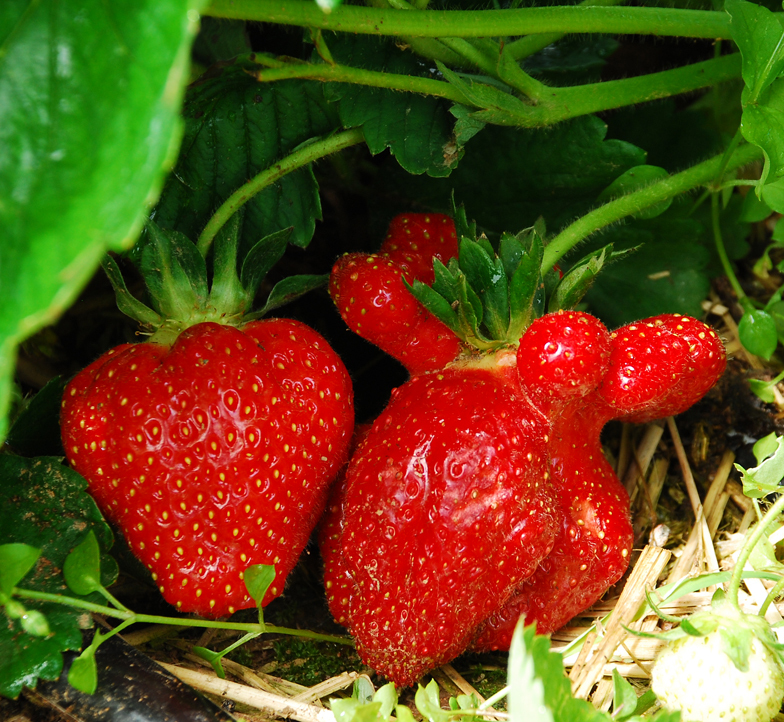 All philosophical discussions aside, what is it that you see in this wacky strawberry?